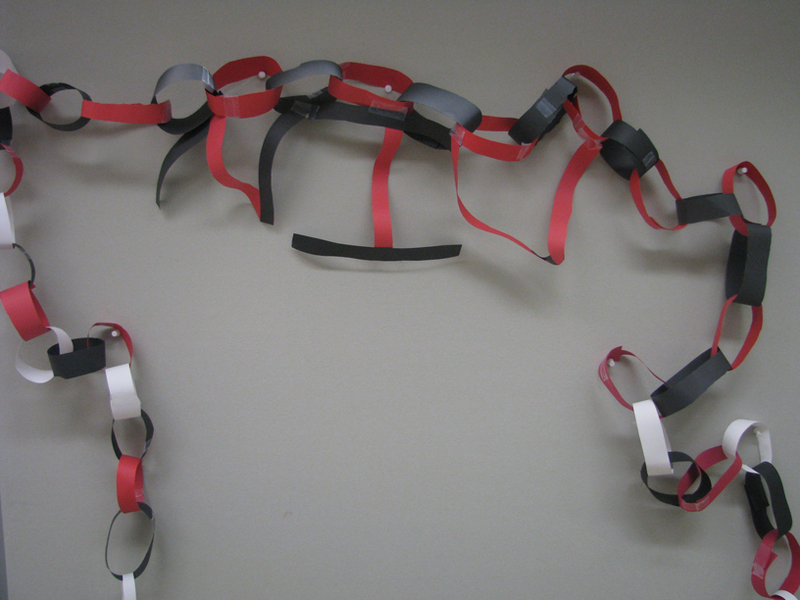 Paper link chain made from red, black and white construction paper. "NIU" has been spelled in black and red at the middle. Size: 124" long.